What Can I Make With an Oatmeal Container? Have you wondered what you could do with an empty oatmeal box? 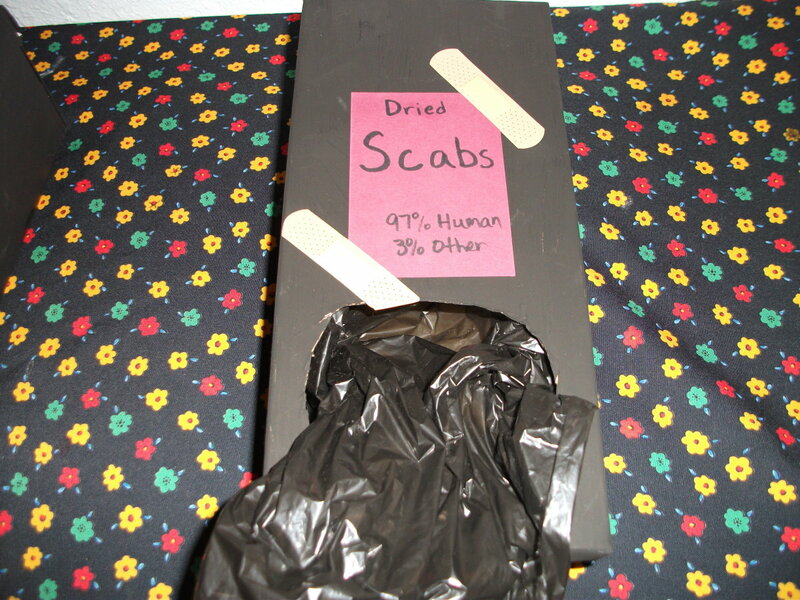 The boxes are well made, and making oatmeal box crafts seems like a good way to recycle them. 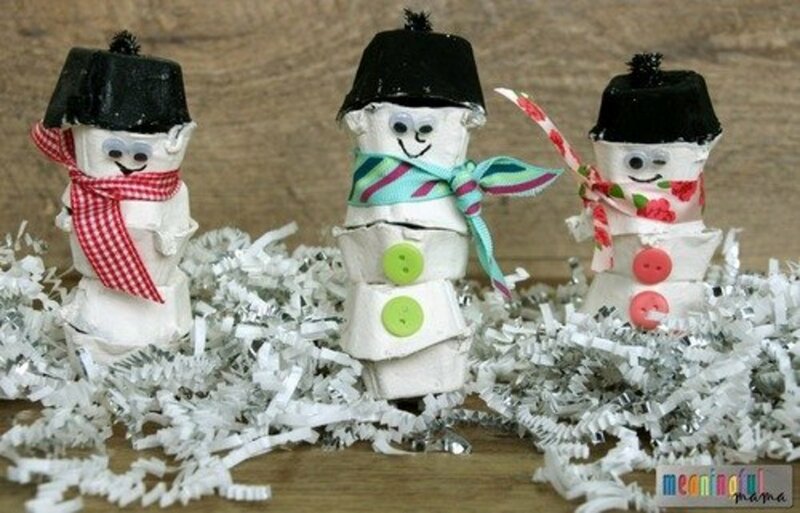 Upcycle them to create fun projects that you can keep for yourself or give away! 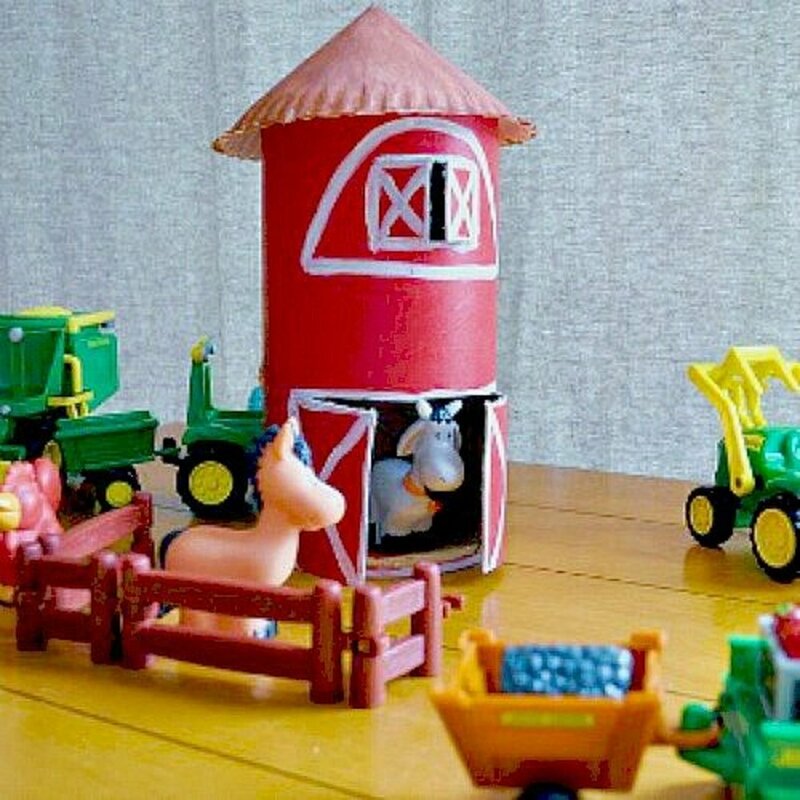 To make the red barn shown above, go to enchantedlearning. This is like two gifts in one. First, you can enjoy whatever comes inside the gift box. Then, you can use the gift box as a piece of décor or as a container to hold office supplies. 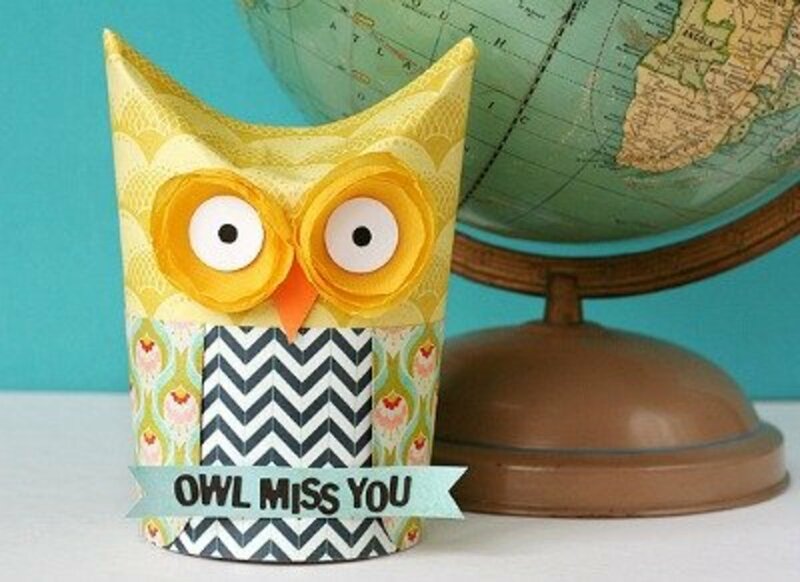 BASICGREY shares how to make this owl treat box. 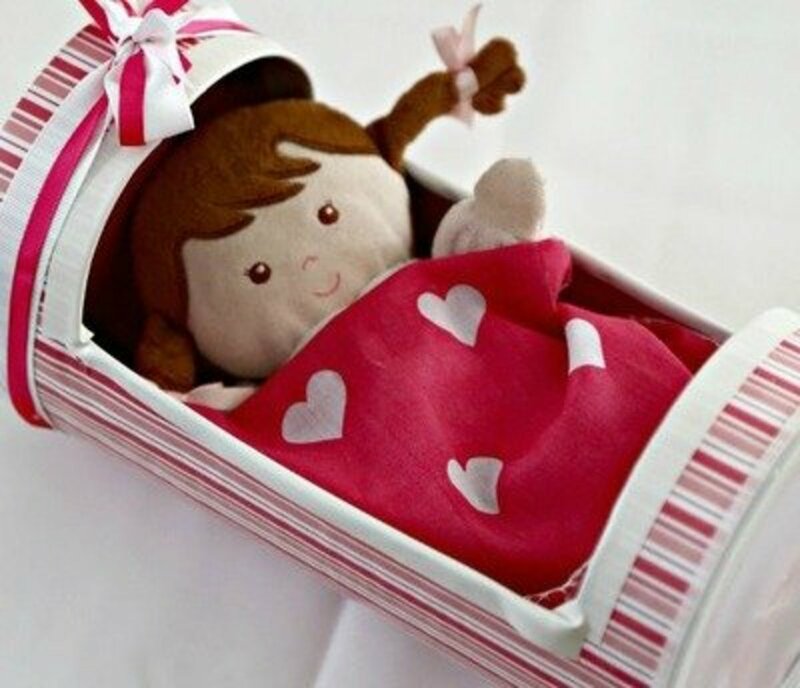 What little girl wouldn't love to put her dolly in this baby cradle? Find all the instructions at juggling act mama to make one for a little girl in your life! You can make a beautiful and useful gift box with a crepe paper flower on top by following the directions at homework. 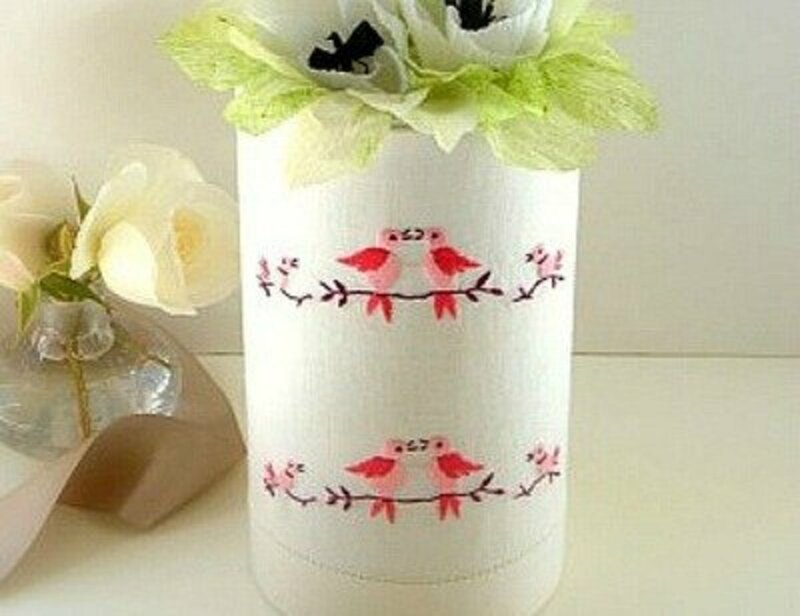 The oatmeal box is covered with a vintage tea towel, but you can use fabric or paper that you already have at home. 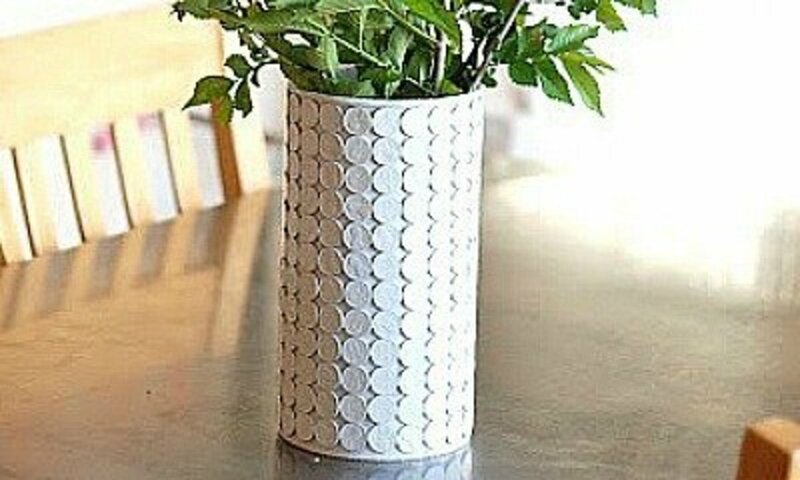 I would say that making this vase, which uses 252 pennies and an oatmeal box, is a really inexpensive but elegant vase. It definitely looks like a vase that you could purchase at a home store. Find the short and sweet instructions at kreyv. I'm really impressed with the elegant look of these boxes wrapped in book pages. 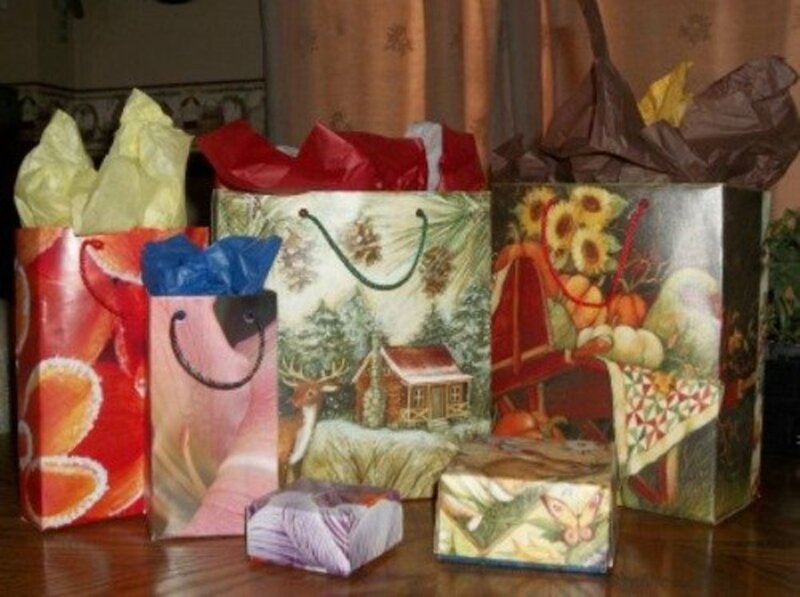 Trash to Treasure shares how you can put it together in a few easy steps. 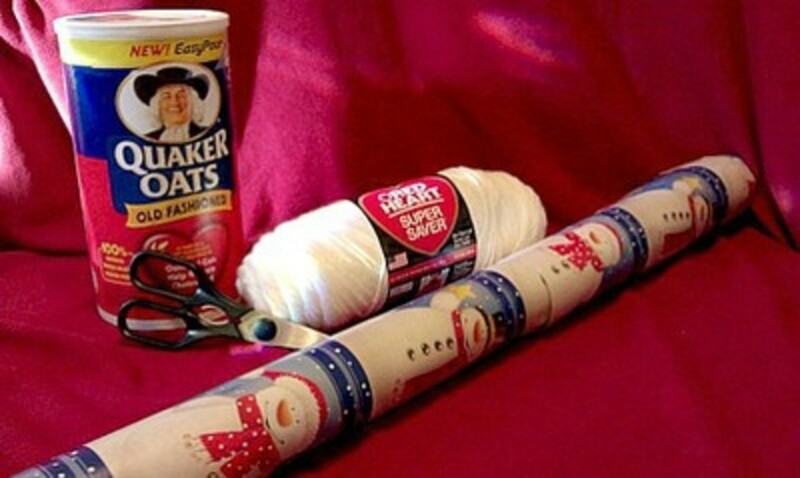 A ribbon holder is a very useful item you can make out of an oatmeal box. 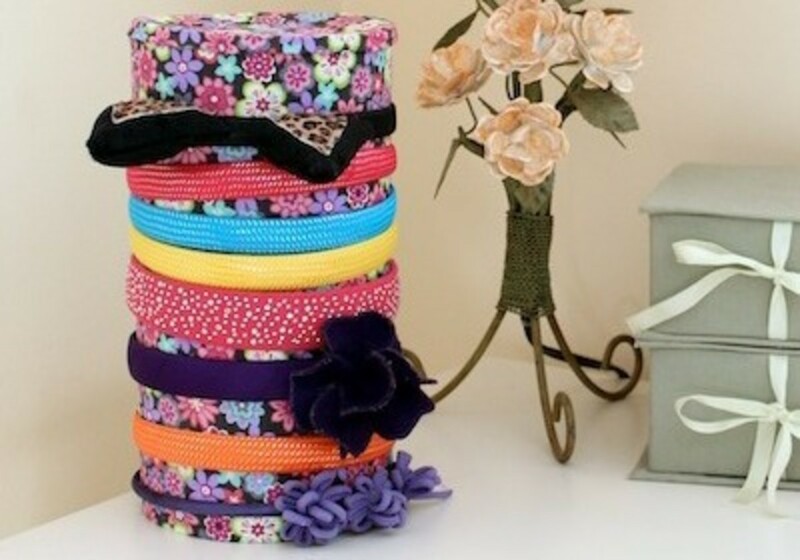 It'd be a fashionable way to keep your ribbons in order and make gift wrapping a breeze! You can make your own snowball fight kit by going to the TOTSY BLOG for the directions. How fun would it be to do something like this? Although this box would be useful to hold a treasure, it would also be a great decorator piece. Find out how to make it by going to Alyssabeths Vintage. 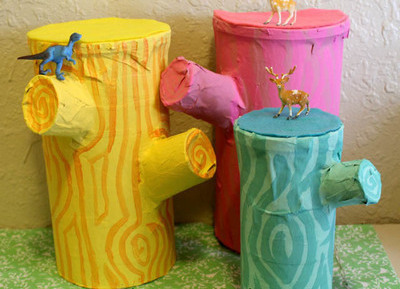 Decorate with a fairy tale theme and put these cute tree stumps together to make that idea come together. The oatmeal box is used as the form to pour the concrete in order to make the pillar. 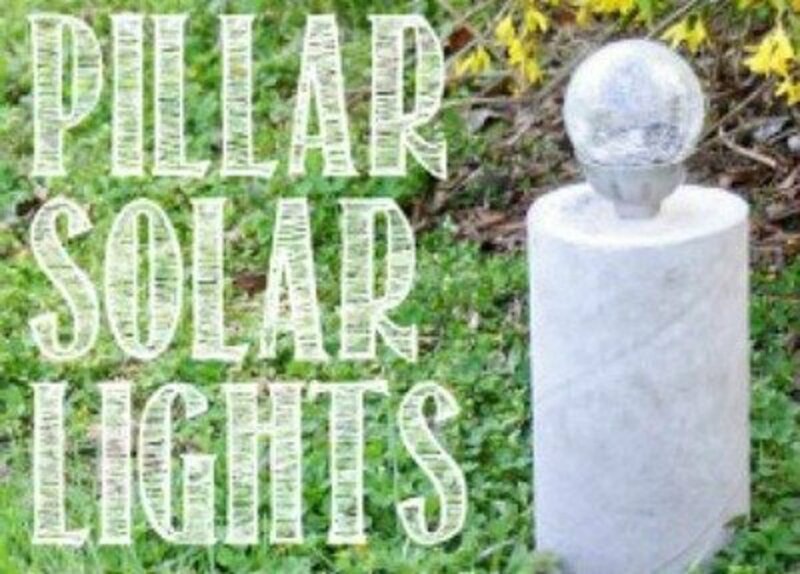 See how this solar light project is made by going to The Shabby Creek Cottage. Can you believe fun and education come together in a project like this? 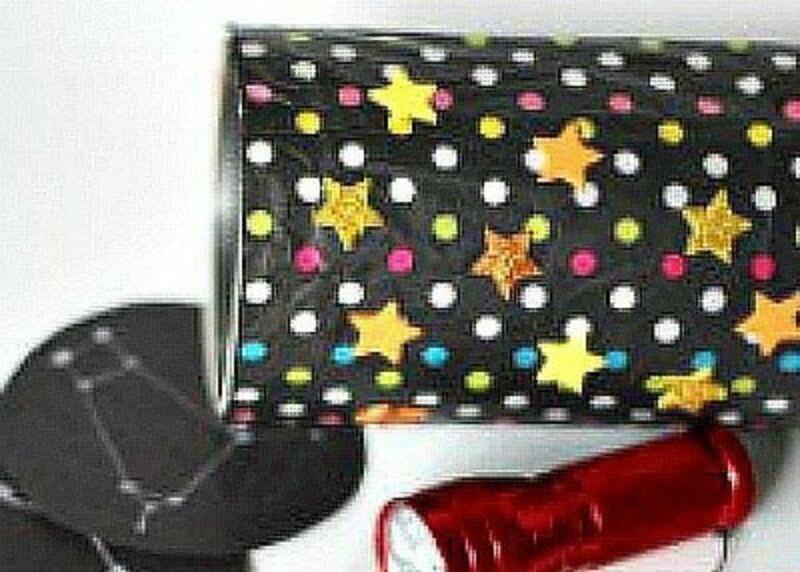 Make this bedroom planetarium and use it as a starting point for a fun science discussion about the night sky! 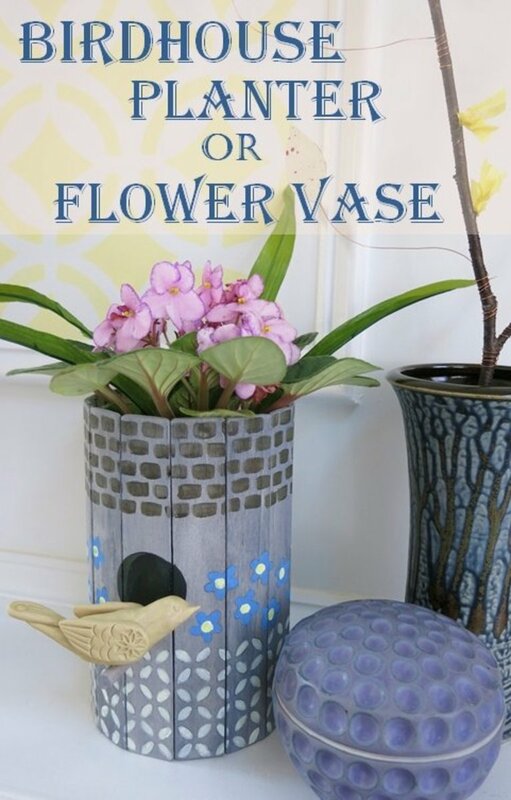 Make an attractive decorative box to give away or to have for personal use. You can keep fun trinkets inside and organize them in different decorated oatmeal boxes! 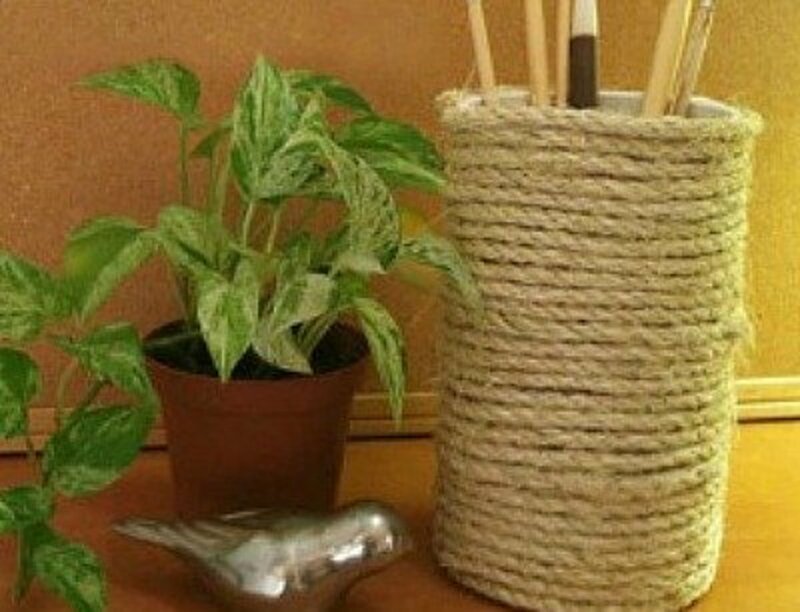 This is a super easy project that you'll be happy to display. Go to Behind Closed Drawers for the instructions. 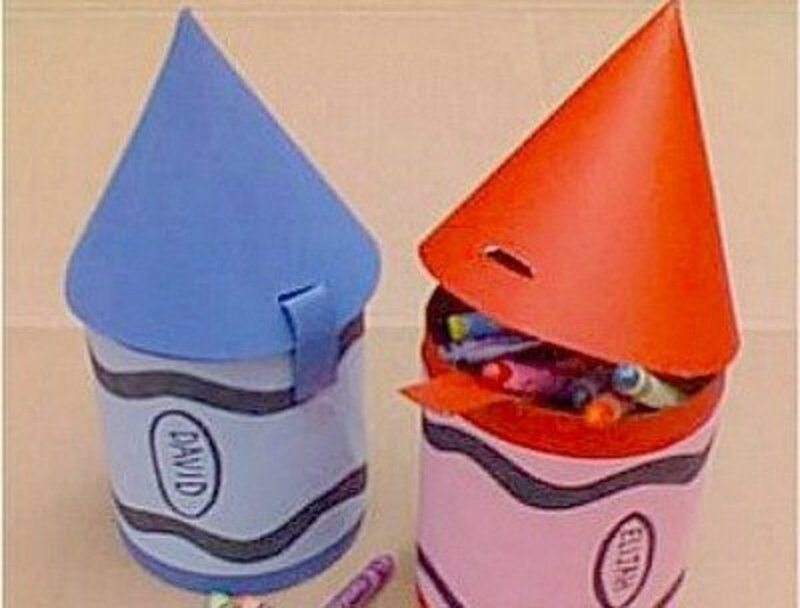 Can you think of a better place to keep crayons than in a crayon box? Especially a crayon box that resembles a crayon? 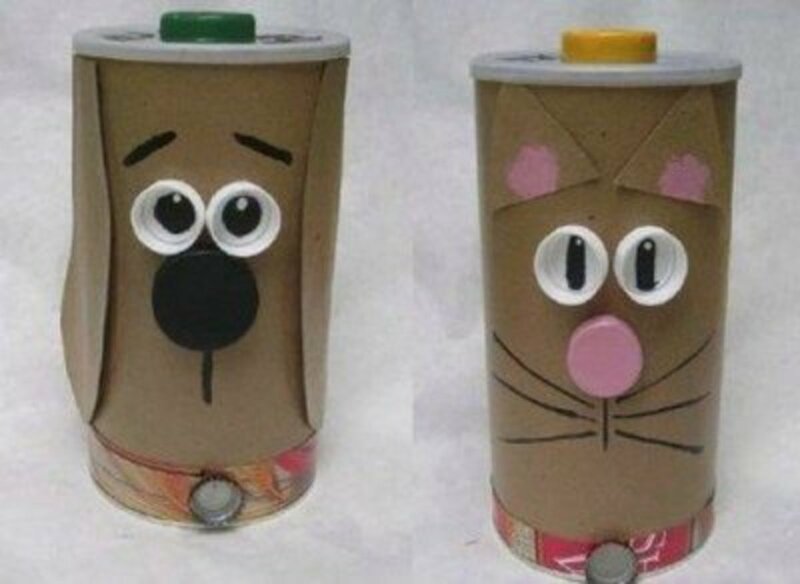 Turn oatmeal containers into this adorable project by going to AOK CORRAL for the instructions. 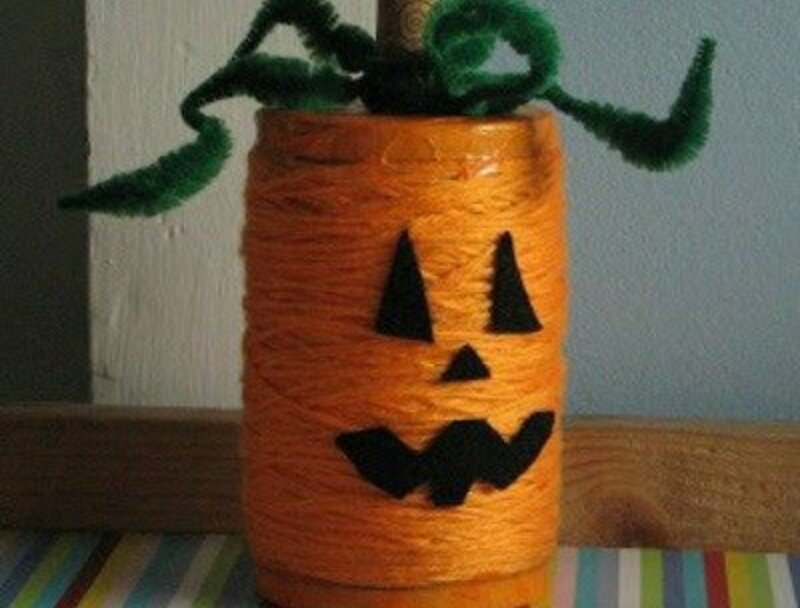 How super easy can making a Halloween pumpkin be? Find out how to make this cute pumpkin with bagels and crawfish. I didn't realize that an oatmeal box is the perfect size for holding headbands. 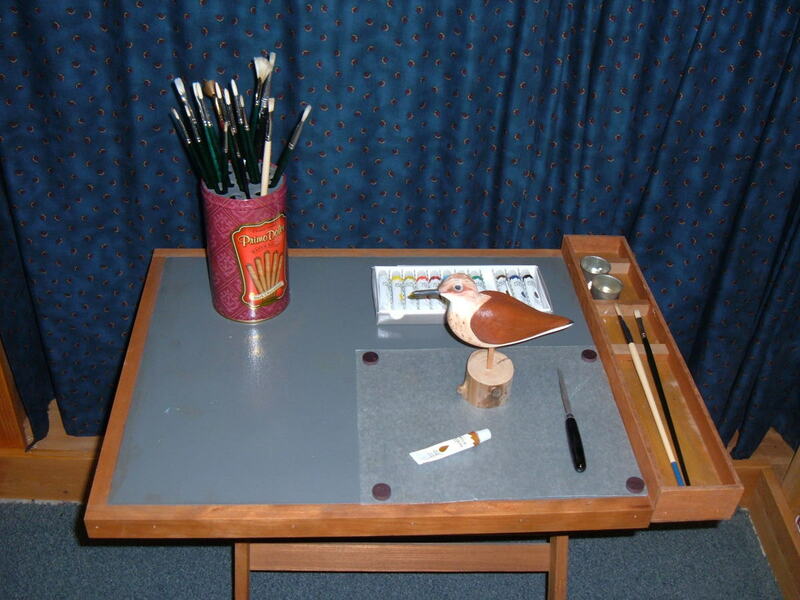 Karin Jordan Studio shares how to put it together. 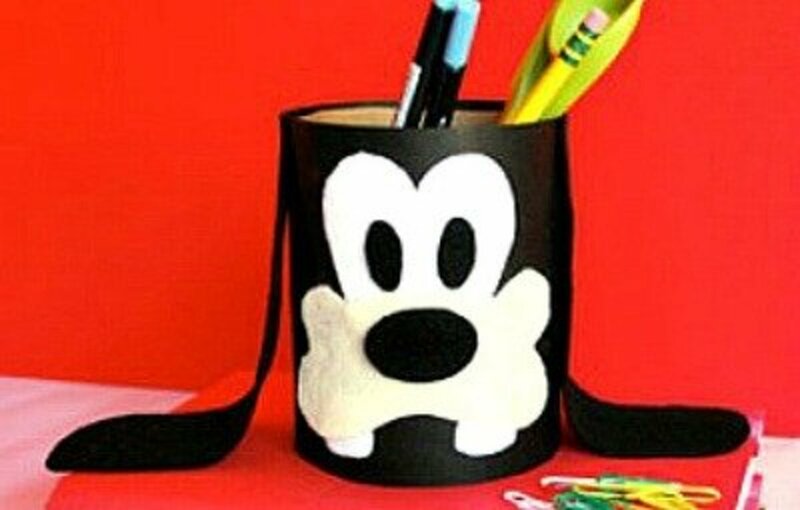 All of you Disney fans can make this Goofy pencil caddy to show your loyalty to the adorable characters. 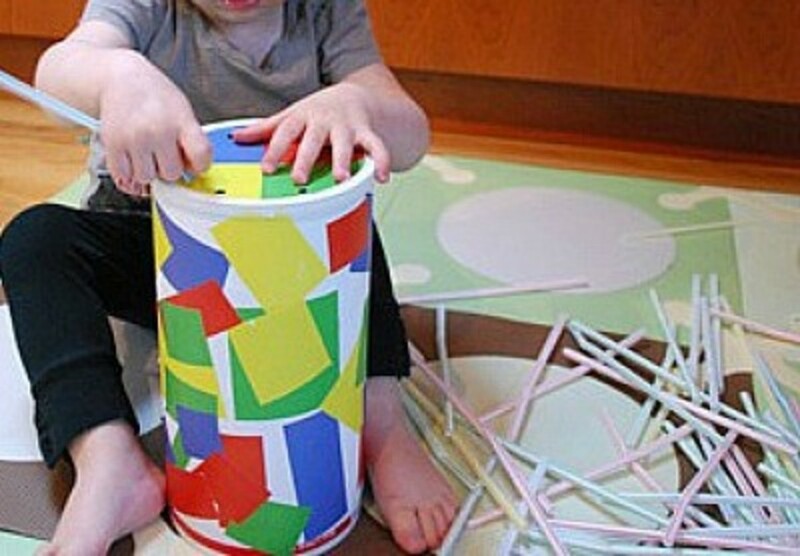 This project is a great hand-eye coordination game for your little ones. You'll find the directions on how to make this game at merrimentdesign. 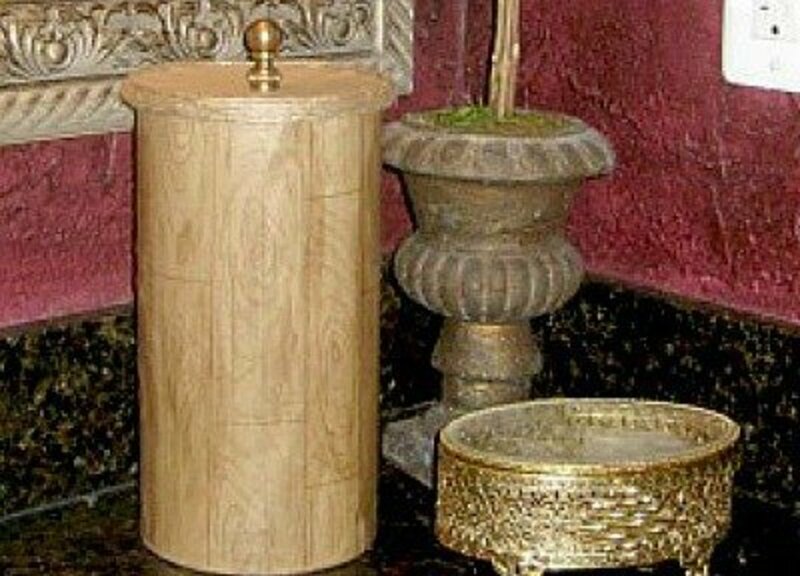 This recycled oatmeal box makes a great container for extra rolls of toilet paper. I think this is a very attractive addition to the bathroom. 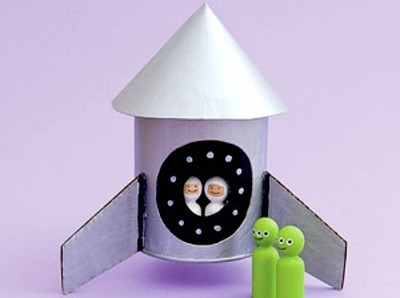 This spaceship project is for all the little space junkies. Some kids seem to love anything to do with space, aliens, and spaceships—this project will be one especially for them. Here is a great way to keep your pet's treats nice and fresh. 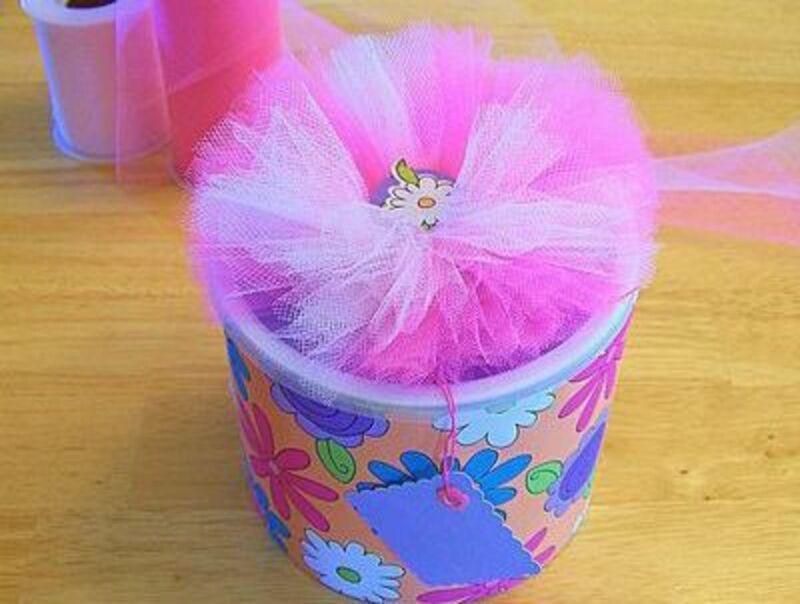 You'll find the instructions for making this container at favecrafts. One of the great things about a pretend fish tank is that you don't have to remember to change the water. 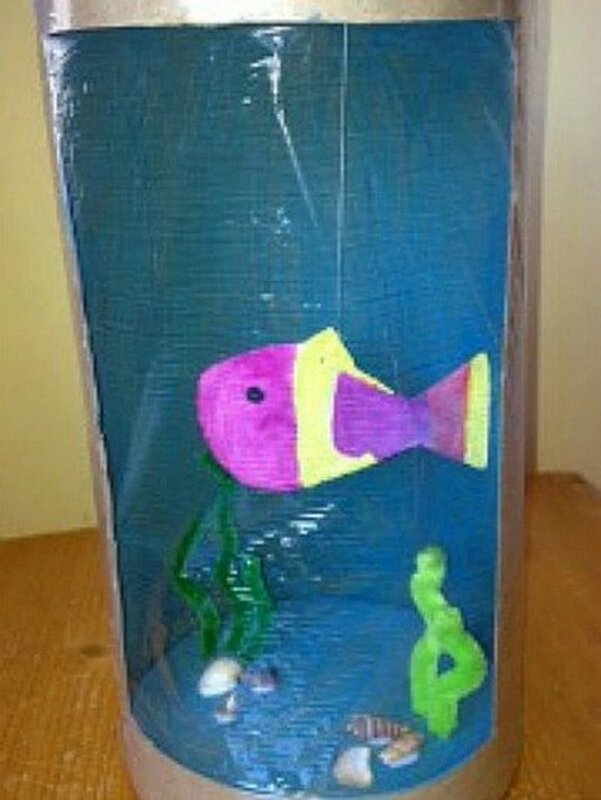 Macaroni Kid shares the steps to make a fish tank like this out of an oatmeal container. This bug hotel is a cute project that I think the kids, especially the boys, will love. They will enjoy being able to customize each room with different themes, colors, and styles. 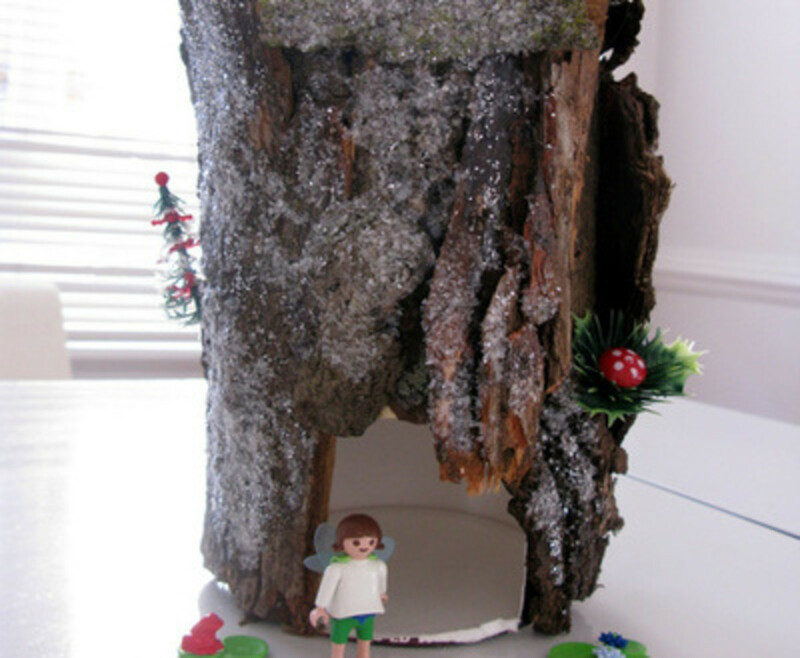 Make this cute fairy house and turn it into a fun scavenger hunt to find all of the parts that you want to use to decorate it! I realize that this is meant to be just a centerpiece, but I think I'd want to leave the top off the hat and use this as a treat container. Otherwise, I'd like to use it as a vase filled with flags, balloons, etc. 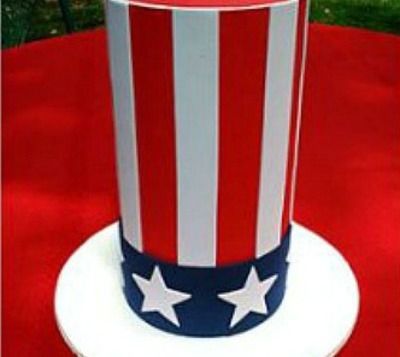 Find the instructions for this Uncle Sam hat at ZiggityZoom. 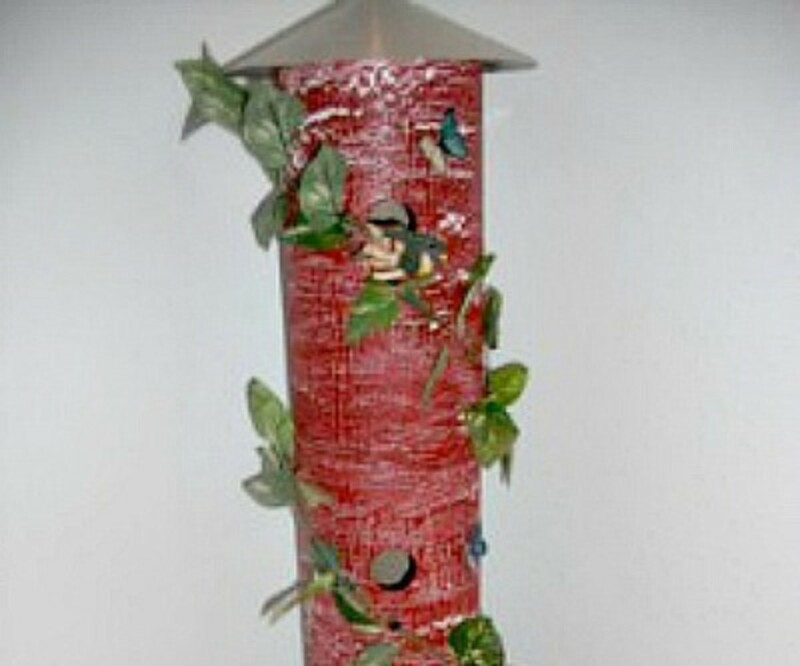 You'll be able to make a many-roomed birdhouse to decorate a corner of your home. You'll need to use three oatmeal boxes for this project. Fairy tales are filled with make-believe houses. 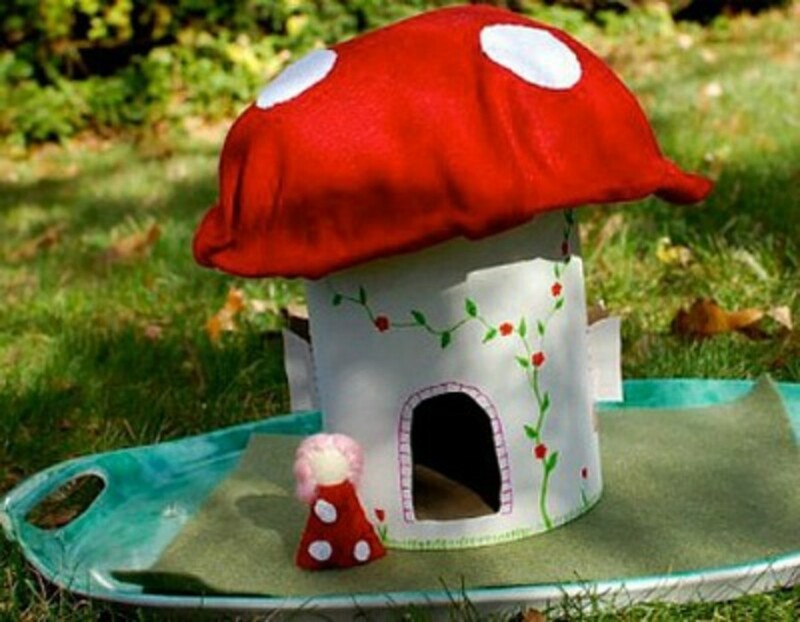 Share the fantasies with the little ones by making a mushroom house! One of the projects all kids seem to love to make is a rainbow project. 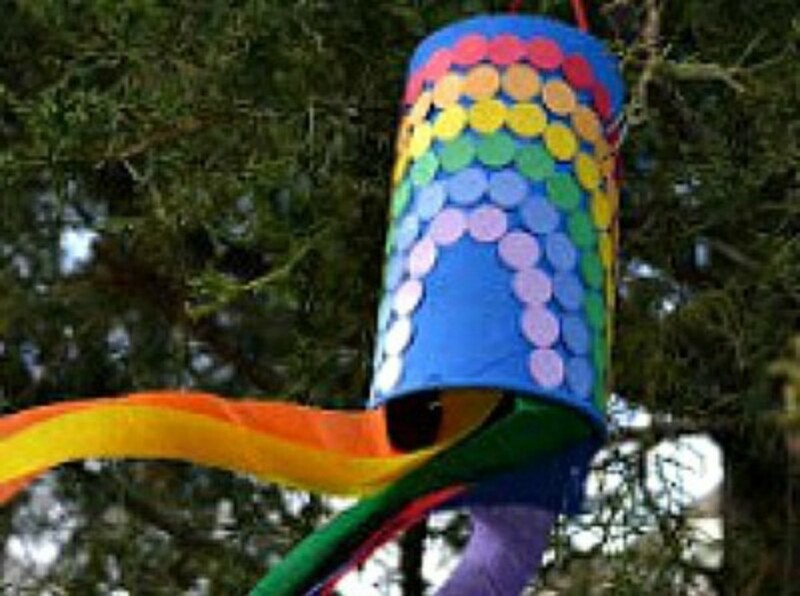 This windsock is an easy and inexpensive craft to make with the kids. I really think this shabby chic vase is an attractive piece. 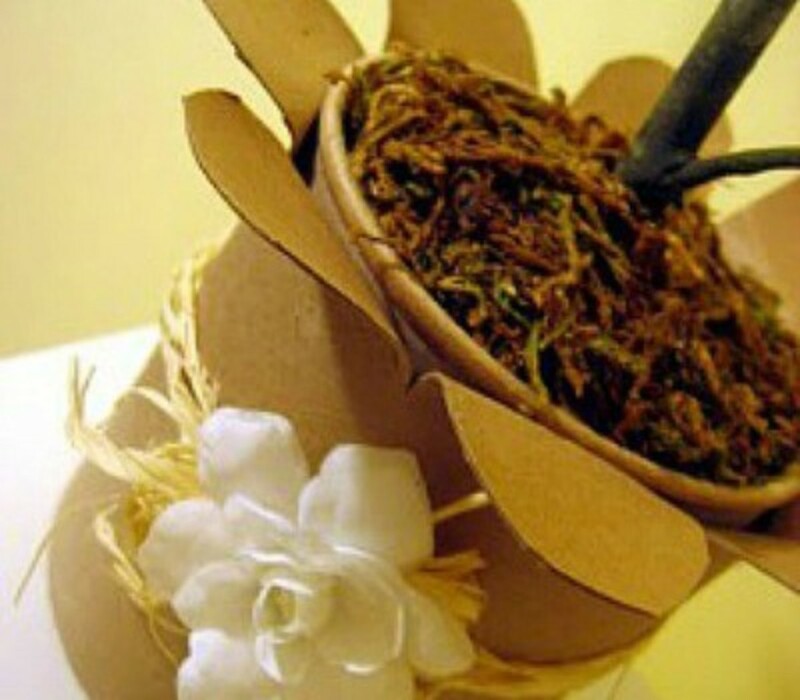 I like the brown box color, the raffia, and the flower trim. 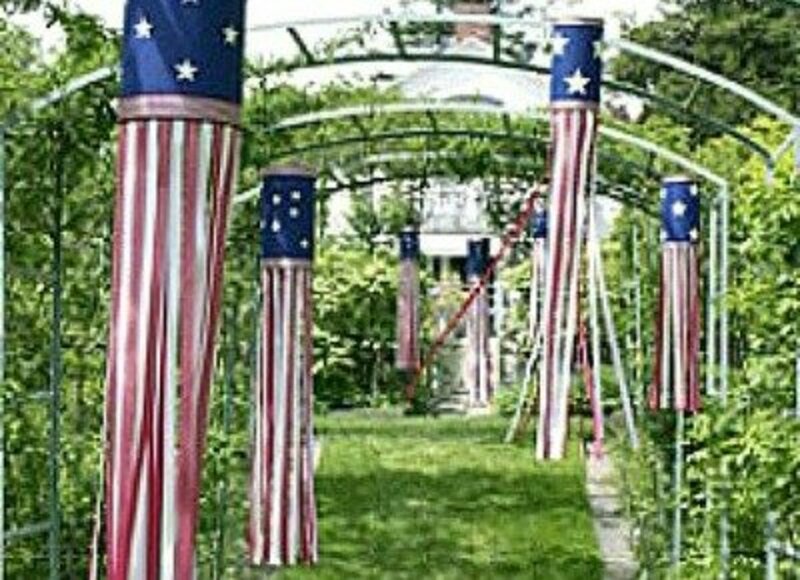 If you are planning a patriotic party for the 4th of July or want a summer theme, these patriotic streamers will certainly help with the decorations. 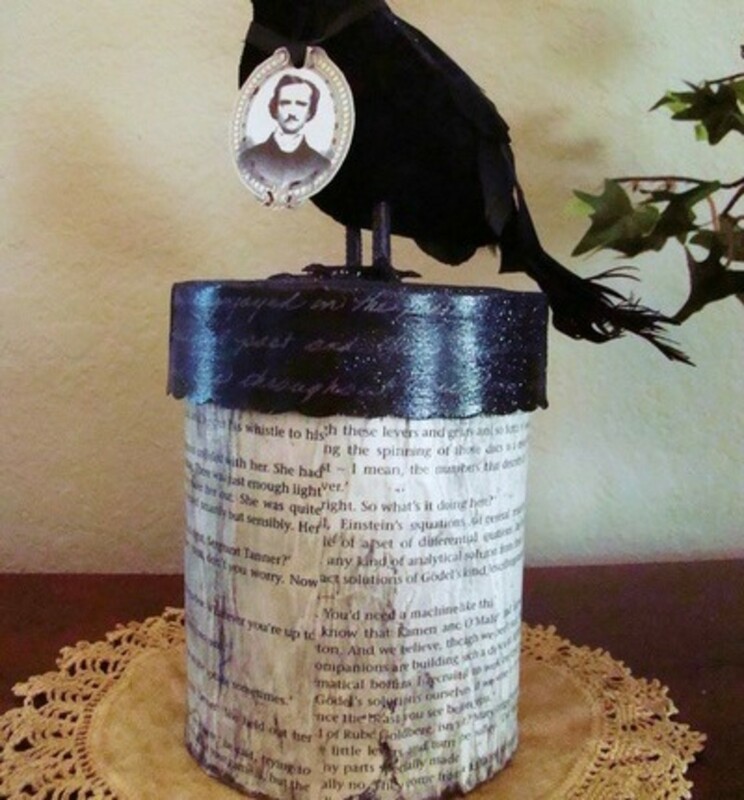 Danielle's place shares the instructions to make this outstanding project using an oatmeal box and shoe boxes. 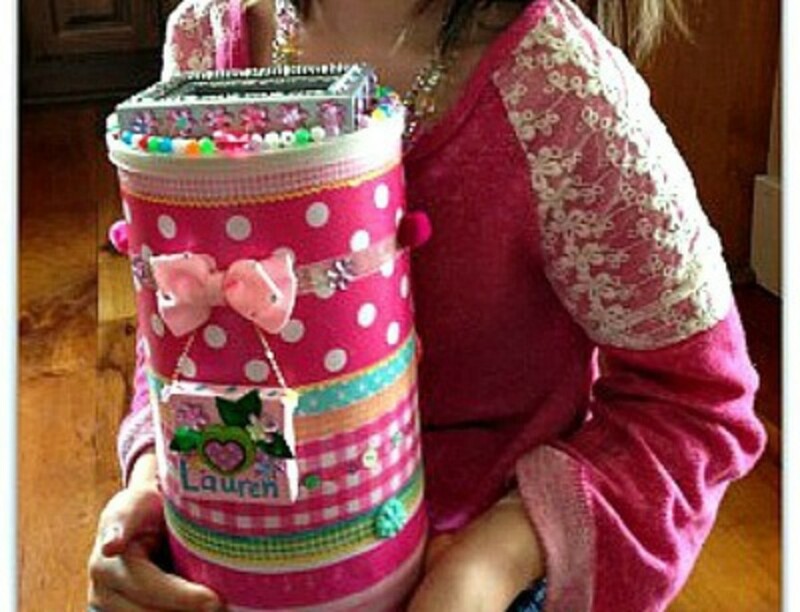 Make a cute container for all the Valentine cards that your little girl will receive by going to She Saved... for the instructions. 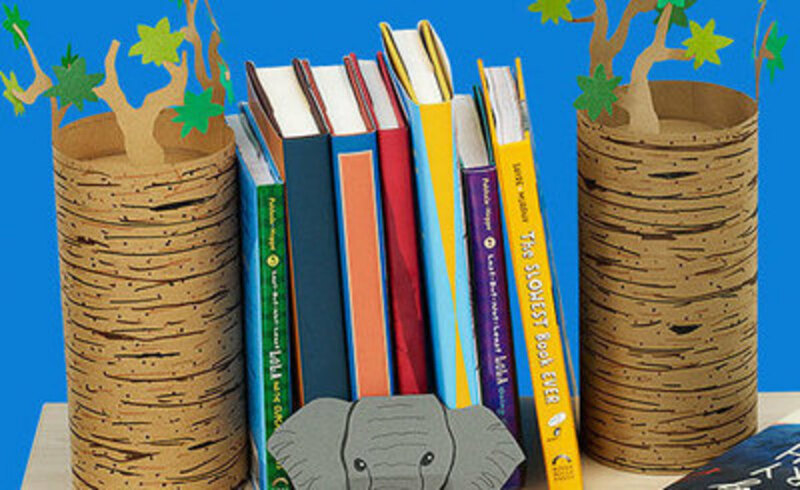 Make these safari bookends using oatmeal boxes. 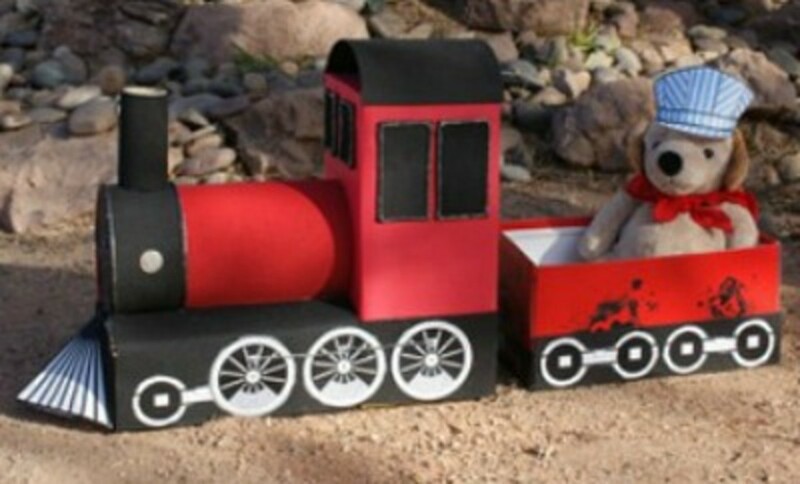 It's a fun activity for kids to do, as you can encourage them to make interesting designs for the bark. You can make these Halloween treat totes easily by following the instructions that you'll find at Makezine. 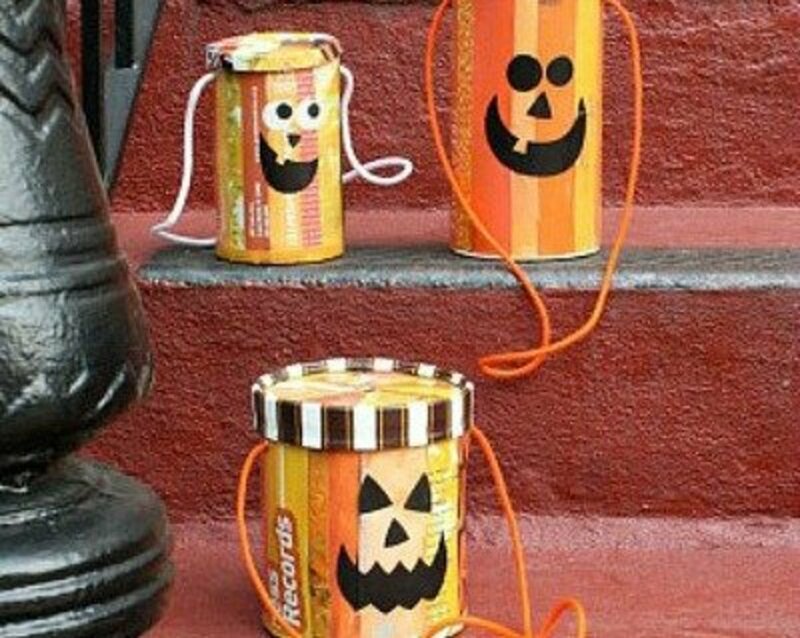 You can use them as totes or as Halloween decorations. 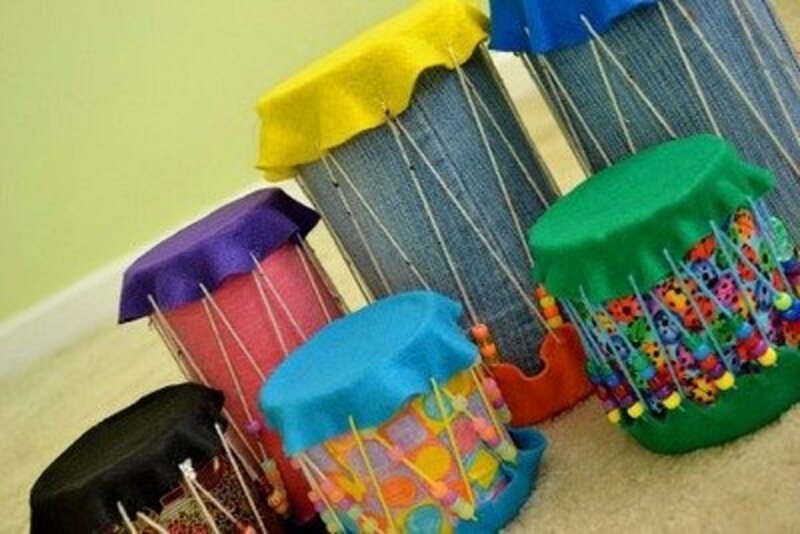 Make these outstanding drums out of oatmeal boxes, fabric scraps, and yarn. 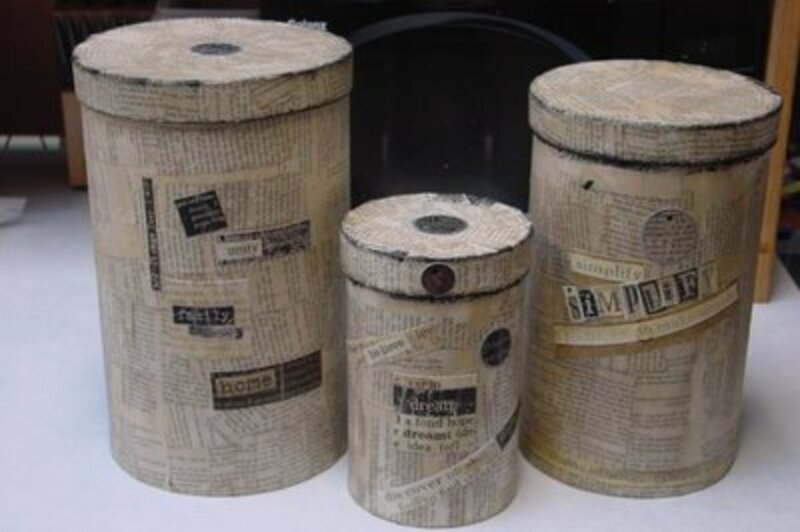 Now that you know about the numerous projects you can create using oatmeal boxes, be sure to start saving them! I'm floored at how good some of these look. I'm kicking myself now for all the oatmeal boxes I have thrown out over the years. 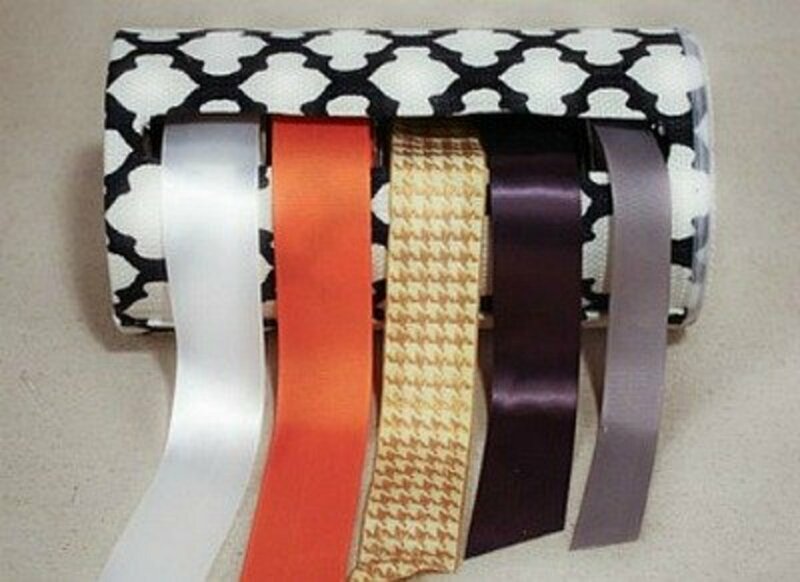 I foresee baking too many oatmeal cookies in my immediate future for I will have an oatmeal box ribbon holder! Thank you for a boatload of good ideas. 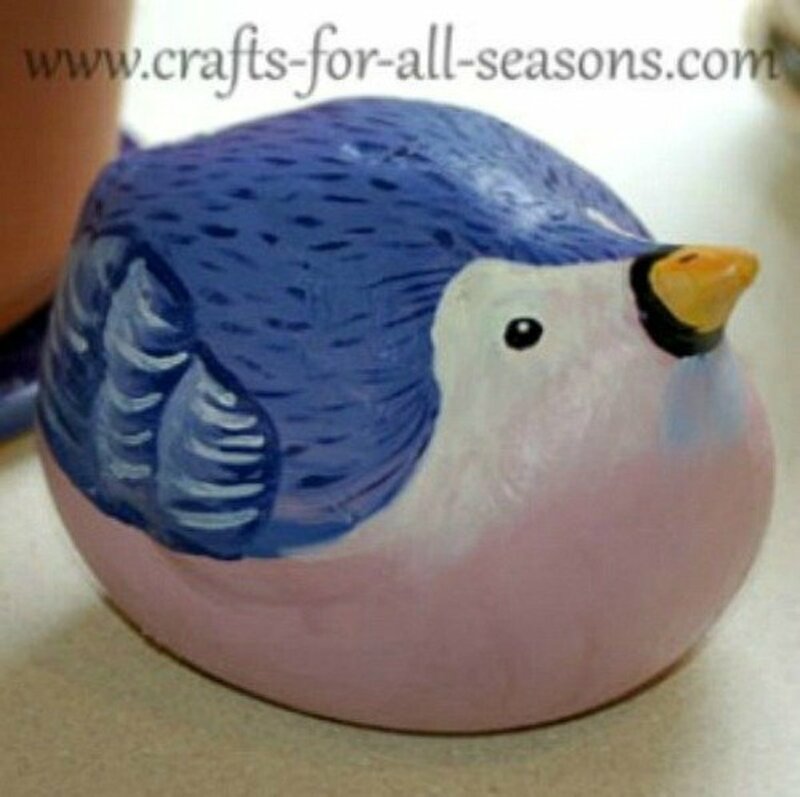 Hi Loraine, This is Julia from FaveCrafts. Thanks so much for sharing one of our projects. 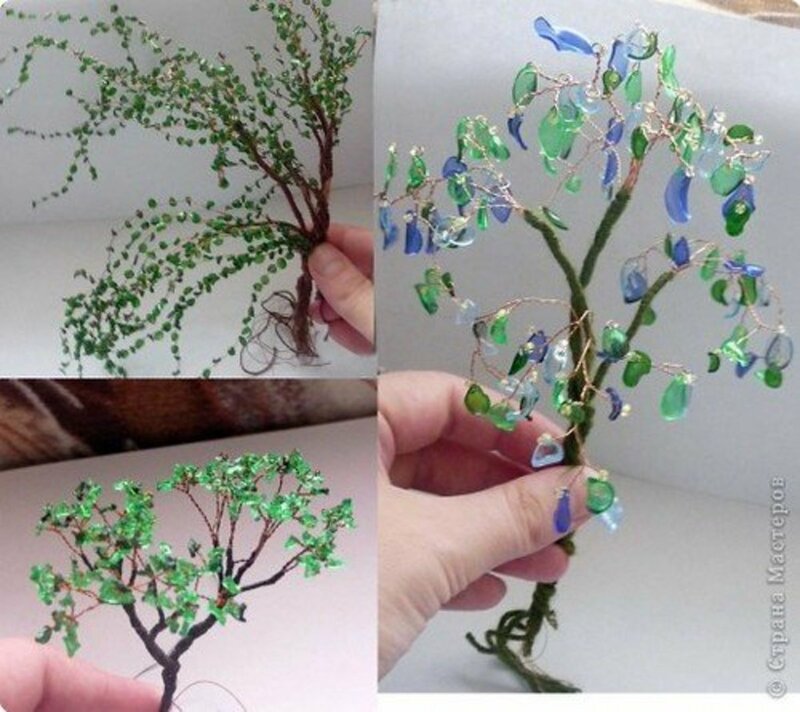 Green crafts are so popular right now and I'm so glad you could find an applicable project. 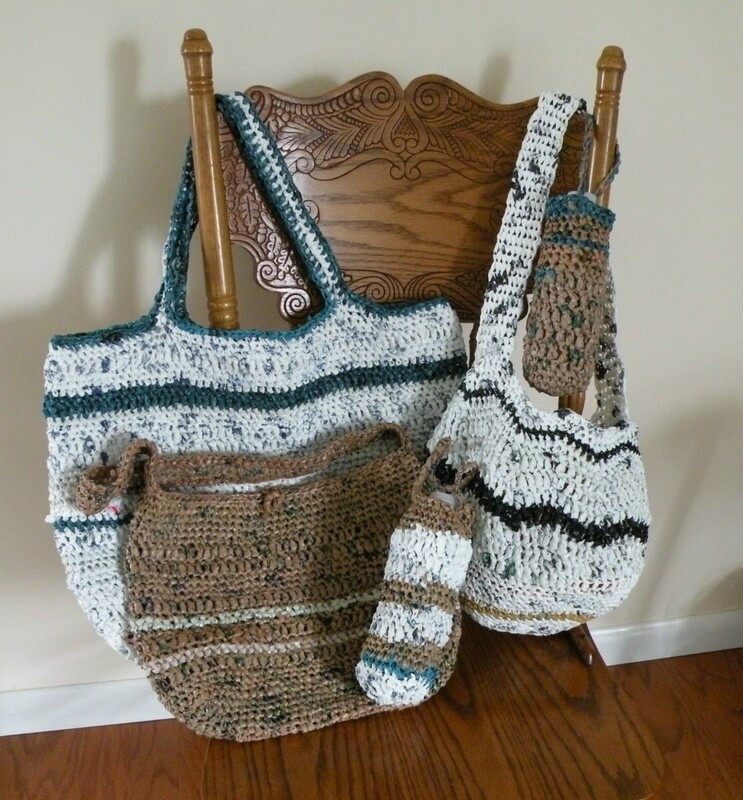 We are always adding new eco-friendly crafts so be sure to stop by often! Thanks and have a great day! Another great crafting page. Lots of new ideas for oatmeal boxes. I love the ribbon holder. Best WIshes to you.